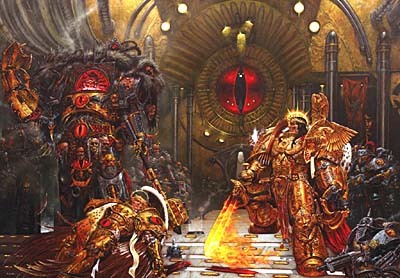 As a way of helping all those hobbyists out there who are looking for a little bit of assistance with creating a "Pre-Heresy" army, this post will be a collection of tips and tricks to help you get started. Be careful though, once you start a Pre-Heresy force, it may be hard to stop. Feel free to send in all your Pre-Heresy related links! Check out this link here... it's got pics and descriptions of all the armor types from Mk1 to Mk8 and blurb on Grey Knights, Sisters and Space Wolves runic armor.